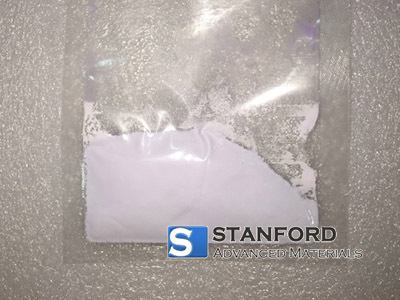 Stanford Advanced Materials (SAM) is a leading supplier of neodymium compounds including neodymium chloride, neodymium fluoride, and neodymium oxide etc. Our 30 tons/y capacity of neodymium chloride ensure us plenty stock available. Other neodymium products: neodymium oxide (Nd2O3), neodymium fluoride (NdF3), neodymium metal, etc. 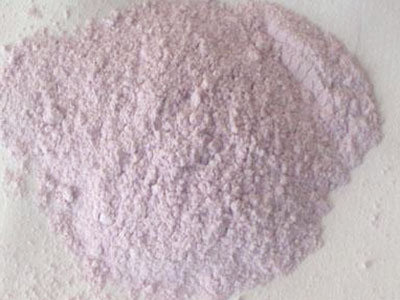 Neodymium (III) chloride (NdCl3), or neodymium trichloride, is a purple powder and stable under atmospheric pressure. It is soluble in water, ethanol, ether, chloroform. Its anhydrous form is a mauve-colored powder that easily absorbs the moisture in the air and turns to purple hexahydrate. -Lasers and fiber amplifiers: it is a dopant not only of traditional silica-based optical fibers, but of plastic fibers (dopedphotolime-gelatin, polyimide, polyethylene, etc.) as well. -Corrosion protection: Neodymium (III) chloride is a corrosive inhibitors which is environment friendly and much less toxic. -Labeling of organic molecules: Neodymium has strong luminescence, so neodymium chloride is often used as a source of Nd3+ ions as fluorescent labels in various physical and chemical reactions. * The elements in red are rare earth elements. * Arsenic - As is a monoisotopic element (75As). In any sample with high content of Chlorine there are very strong overlapping interferences of 40Ar 35Cl+ and 38Ar 37Cl+. * Cesium - Powder, nonconductive samples cannot be analyzed directly by GDMS. They need supporting / secondary electrode (also called binder*). Typically high purity Indium sheet is used as a binder. Powder is embedded onto Indium sheet to hold sample and also Indium allows maintaining discharge. Cs is like as monoisotopic element (133Cs). There are strong overlapping interferences such as 113 In 113In 40Ar++. Because NdCl3 contains also H2O there are additional interferences such as 115In 1H2 16O + . Use of Krypton may help to eliminate Ar related interference however H2O related interference would be difficult to eliminate as H2O seems to be a part of the sample composition. * Terbium - Tb is another monoisotopic element (159Tb). There is 143Nd 16O + overlapping interference. This interference is related only to matrix elements, which are always present i.e. this interference cannot be eliminated by use of other discharge gas. All our NdCl3 powder is packaged in vacuum to avoid water absorption.